Here’s my flip chart for ‘When I Go To Church’. 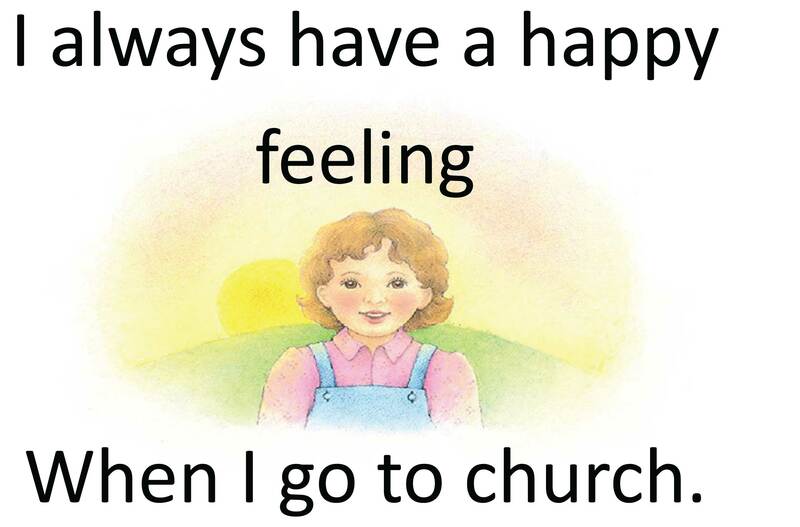 I have used pictures from the church website, also found in the Children’s Primary Songbook. I came across the first page of a flip chart I liked on Sugardoodle, but unfortunately my virus protection software wouldn’t open it because it detected a virus. So I made my own flip chart. It does have the Australian way of spelling ‘colour’. I want to use this song in Opening Exercises on the last Sunday in August, but I really needed a flip chart. Couldn’t find one no matter hard I looked, so I resolved myself to the fact that I was just going to have to figure out how to create one all on my own. So I did! It’s not brilliant, but it will do the job.